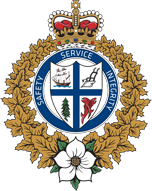 New Westminster – On July 26th, 2018, shortly after 4:00 am, the New Westminster Police Department was alerted to a possible overdose at Westminster Pier Park. A passerby had observed an adult male in the park and believed he could be overdosing. The passerby ran to the police station to get help. Officers rushed to Westminster Pier Park and located the unconscious man who was in need of medical assistance. The officers administered naloxone, but the man was unresponsive. As a second dose of naloxone was about to be administered the male began to regain consciousness. Shortly thereafter, British Columbia Ambulance Service arrived and transported him to hospital. The New Westminster Police Department adopted the use of naloxone in February of 2017 as a means to save lives in opioid overdose situations. The drug, which enters the body through a nasal spray, reverses the effects of opioids.